The new year is starting off right at work. My boss just had a front page article published about him in the Orange County Register. The Register is the largest newspaper in Orange County, with a daily circulation of about one million copies. The 62-year-old, Yale-educated native of the Virgin Islands whose floppy white hair, somewhat patrician bearing, and desert-dry wit call to mind an aerial George Plimpton likes to teach by doing, not telling. His midair engine stall is designed to do just that. Among other things, he is forcing Kim to think of alternative ways to maintain enough altitude to glide safely back to the airport. 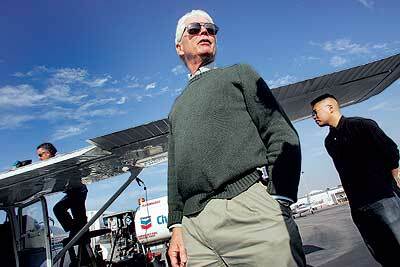 Safety being the prime concern for Church and his John Wayne Airport-based Sunrise Aviation school. 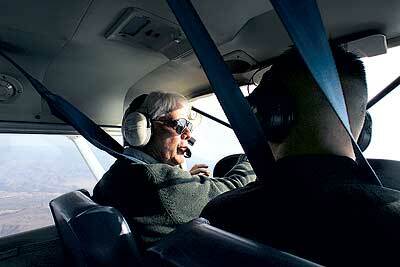 His 26 flight instructors must have a minimum of 1,500 flight hours to be hired. His 35 planes are stripped and inspected every 100 hours of flight. He writes columns on safety for aviation magazines. And even beginning pilots are trained in aerobatic “spin training” – an extra safety precaution that few aviation schools provide. Church’s obsession with safety won him the Federal Aviation Administration’s 2005 Safety Counselor Award. The award is one of four given each year to the nation’s top small-aircraft mechanic, avionics expert, flight instructor, and in Church’s case, safety guru. In his more than three decades of flying, Church has logged 12,000 hours in the air with a few near-misses – but nary a crash. The average small-aircraft pilot may have fewer than 1,000 hours’ experience. 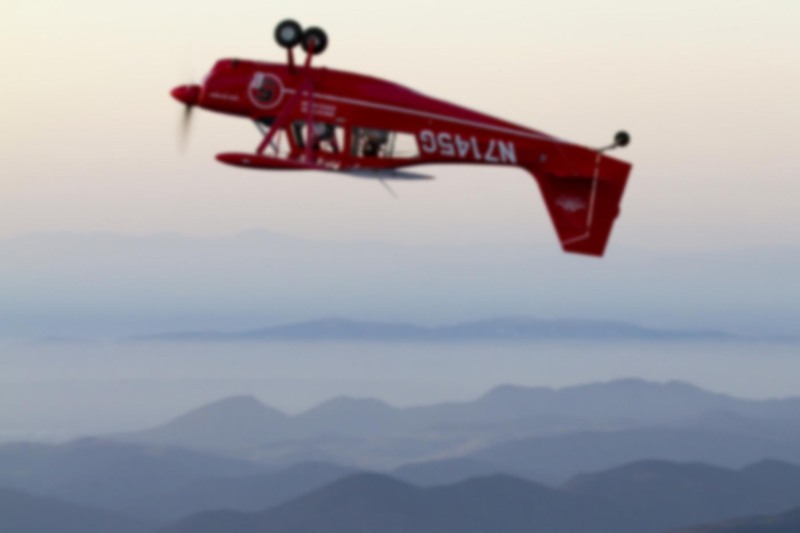 And few pilots earn their hours by doing aerial loops, twists, dives and other aerobatic stunts that are Michael Church hallmarks. “The guy knows what he’s doing,” says Terry Vance, the Huntington Beach motorcycle drag-racing champ who credits Church with saving his life. Vance’s small plane went into an unintentional spin over New Mexico. The aerobatic training that Sunrise requires helped him pull out of a potentially deadly spiral. “If I had not had spin training I would have been in serious trouble,” Vance says. Church himself is more phlegmatic about his success. It’s a delight to read something positive about GA, even more so in this case because it’s about the company where I work. I hope that this article will help establish a relationship between the two and the Register will “go to Church” the next time they need information on general aviation.